"Murder at Craiglea! Why, it's impossible!" "When I think of this lovely English village, I can scarcely believe it myself." Though Raymond Chandler thought fictional murder belonged, like the real stuff, in the mean streets, many mystery readers of his day wanted nothing more from their favorite reading fare than to escape into a nice English murder story set in a lovely little village, enjoying the very incongruity of foul play in fair places. Seemingly even more incongruous was the idea of murders taking place among children in schools (although of course in the modern United States it's sadly become almost a casual affair); yet in the 1930s the setting was fairly common in English mysteries. 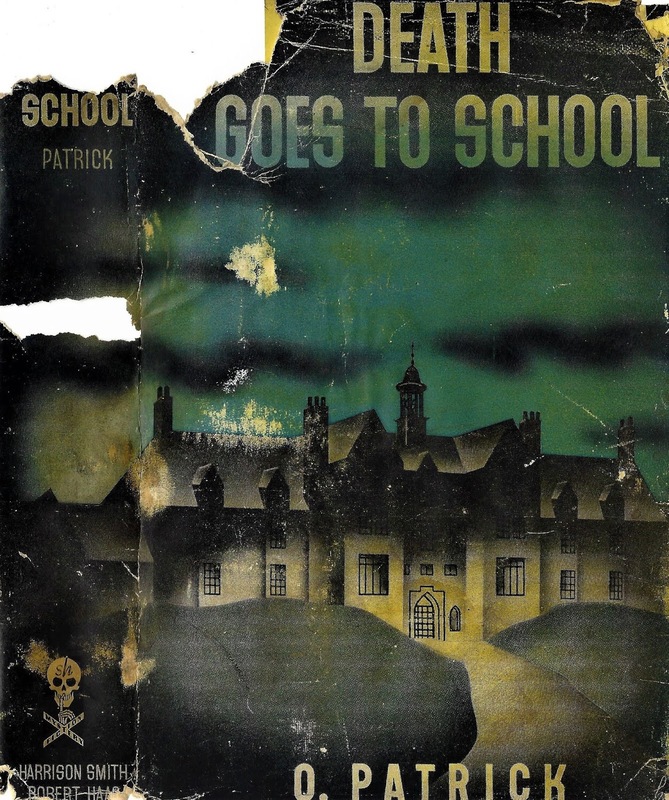 Death Goes to School (1936) is the last of the six Q. Patrick novels that is not credited jointly to authors Rickie Webb and Hugh Wheeler, and thus it marks the end of the first phase of a pseudonymous author's life: the one in which the author adhered most scrupulously to the clues and cogitation formula of classic detective fiction. Three of these novels--Murder at Cambridge, The Grindle Nightmare and Death Goes to School--were copyrighted to Rickie Webb alone, though the latter two titles likely had some input from Rickie's apt apprentice Hugh Wheeler, whom we know at the very least typed the manuscripts and would have been talking over the details with his guide and mentor. The other three novels had women co-authors, two of them Martha "Patsy" Mott Kelly and one Mary Lou White. Three of the six pre-Hugh Q. Patricks take place in Britain (while another is an ocean liner mystery), contrasting with most of the Rickie-Hugh Q. Patricks. (I will call them QPs from here.) Like other authors, Rickie wrote about what he knew, and though he was well-traveled what he knew best was England's green and pleasant--though in fiction at least quite murderous--land. Additionally, one of the Rickie-Hugh QPs takes place in Bermuda, where he and Hugh annually vacationed in the Thirties. Not long before he left America for France in 1952, Rickie complained to Hugh--who had decided, much to Rickie's dismay, to move on from their relationship both personally and professionally--that he had never really felt at home in America, a country where he had spent half his life and in 1943 had become a naturalized citizen, going into armed service for his adopted nation in the Pacific War. Hugh seemed to better adapt, but then Hugh was a most flexible individual. Death Goes to School has Rickie's fingerprints all over it. The novel is dedicated to his parents, who when he was growing up in England had run a girls school at Burnham-on-Sea, Somerset, situated on the Bristol Channel not far from the city of Bristol, and is set at a boys school in, sure enough, Somerset, overlooking the Bristol Channel. With 68 boarding pupils, the school seems larger than that of Rickie's parents and boys are concerned rather than girls, but the setting otherwise is very much on point. Additionally, one of the major characters in the novel, a spirited young boy named Lucas who proves to have considerable skill as a code breaker, shares the surname of his mother's family. In all the book seems, like Rickie's earlier college mystery Murder at Cambridge, an exercise in nostalgia--of a murderous kind, of course. This nostalgic novel is lacking the bloody horrors of The Grindle Nightmare, the ghoulishness of which, with its descriptions of rather ghastly subjects (torture murder victims, including a child; animal mutilations; impotence; sexual depravity), was much commented upon by titillated reviewers of the day. In School, the two victims of murder are pupils, but the details of their murders are scamped and no one really seems to miss the victims much. Nor are they, as presented, seemingly people one would much miss. As an aside, I might mention that Golden Age English mystery writers seem to have been much less sentimental about children than both earlier and later generations, with some notable exceptions like H. C. Bailey, who vies with Charles Dickens and Benjamin Farjeon when it comes to sentimental piety concerning youngsters. (Bailey even invariably gives them plaintive lisps.) In Margaret Cole's Scandal at School, for example, the murdered schoolgirl is portrayed by Cole, the mother of three children, as a blackmailing brat whose death is regretted by no one, including her father, who is treated seriously as a suspect in her murder. But let's hear how cozy all these books are again! Murders at British primary schools became popular in detective fiction after the publication of Murder at School (1931) a 'prentice novel by James Hilton, who shortly became renowned as the author of Lost Horizon (1933) and Goodbye, Mr. Chips (1934). Some other prominent British primary school mysteries, many of them from some of the biggest names in British detection, are, before Death Goes to School (1936), R. C. Woodthorpe's The Public School Murder (1932), Anthony Berkeley's Murder in the Basement (1932), Christopher Bush's The Case of the Dead Shepherd (1934), Gladys Mitchell's Death at the Opera (1934), Nicholas Blake's A Question of Proof (1935), Margaret Cole's Scandal at School (1935) and, after Death Goes to School, Leo Bruce's Case with Ropes and Rings (1940) and Alan Clutton-Brock's Liberty Hall (1941). An impressive group of murder stories! Death Goes to School opens at the Parents-Boys cricket match which marks the half-term holiday at Craiglea Preparatory School. (Rickie himself was captain of his cricket team at his public school.) It seems a lovely June day, but storm clouds are gathering on the horizon, both literally and figuratively. The next day the body of one of the wealthy American Jewish twins who had arrived at Craiglea that term is discovered unceremoniously stuffed in a laundry cupboard, the boy having been smothered to death in his bed in the night. He is Eric Bernard-Moss--or Moses ma. (i.e., Moses Major) as he is known to his schoolfellows, contrasting with his brother Irving Bernard-Moss, naturally Moses mi. (Moses minor). Evidence suggests that the murder must have been an "inside job." So who, you may well wonder, was on the inside? Well, there's the headmaster, Reverend Samuel Dodd, his wife and their "English rose" daughter Sophonisba (named for a Carthaginian princess who committed suicide rather than surrender to Rome--I had to look that one up); the handsome blond and blue-eyed English master, Harvey Nettleon, just down from Oxford, who reads Walt Whitman, Herman Melville and William Faulkner (Sanctuary); the hunky new school porter, Stephen McFee, who is blessed, we are promptly informed, with a most "splendid physique"; the Moss boys' new American orchid-lush stepmother, Myra Bernard-Moss; Cyril Heath, the pub-crawling mathematics master; Mademoiselle Santais, the sallow-cheeked French mistress; school matron Mrs. Blouser, who discovered the body; freckled, snub-nosed schoolboy St. John Lucas, son of the portly and pacific Bishop of Saltmarsh (a nod to Gladys Mitchell's The Saltmarsh Murders? 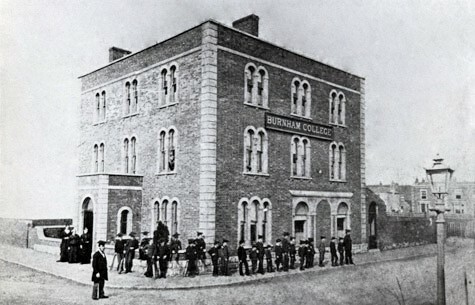 ); and schoolboy Derek Pemberly, overdeveloped physically and underdeveloped mentally and the son of peppery county constable Sir Wilfrid Pemberly, who tends to wax "hot as chutney over Indian reminiscences." However, a bombshell soon is figuratively dropped at the school when it is learned that Moses ma. may have been a victim of a political murder. It seems that the boys' Jewish father, a prominent judge in St. Paul, Minnesota, presided over a trial of Nazi-sympathizing German-Americans who killed "many people" in a "serious outcrop of Hitlerian anti-Jewish riots," the grand object of which was to "drive all Jews out of the country." In the aftermath of the riots, the judge sentenced one German-American man, Bruno Heller, to death in the electric chair, and his brother and sister vowed vengeance on the judge and his family. Could the culprit in this new crime at Craiglea be a vengeful German-American terrorist? 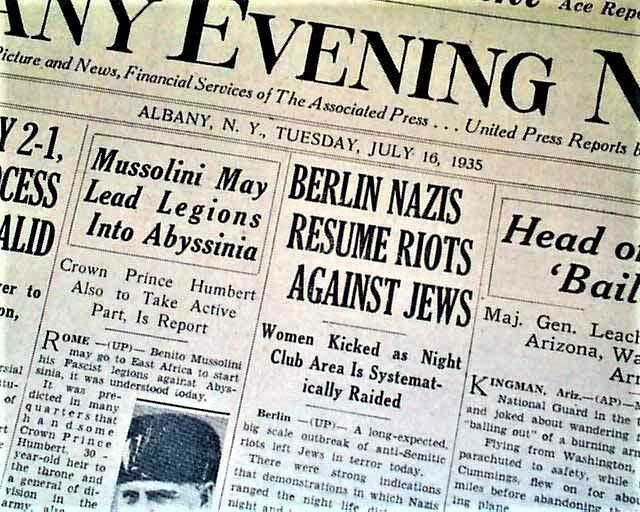 This is an unusually up-to-date motive in a detective novel of this era, when countries still were clinging to a splintering hope that "peace for our time" could be established, despite mounting evidence to the contrary from the militant German nation, which had passed the grotesquely anti-Semitic Nuremberg Laws in 1935. While the view of the US expressed in the novel may seem histrionic, recall that in the 1930s lynchings of black men still occurred in the American South and that southern congressmen did everything in their power to block federal anti-lynching legislation. 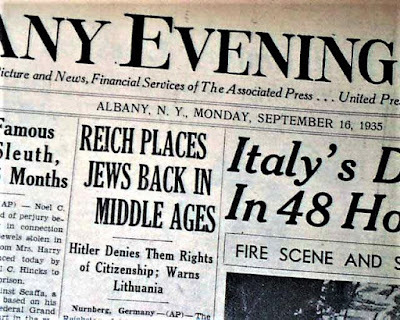 Indeed, Germany contrasted its "humane" Nuremberg racial legislation with horrific American lynchings, which were graphically documented by beaming murderers in sickening photos. Additionally, there existed in the US in the Thirties the German American Bund, designed to promote Hitlerian ideology in America. 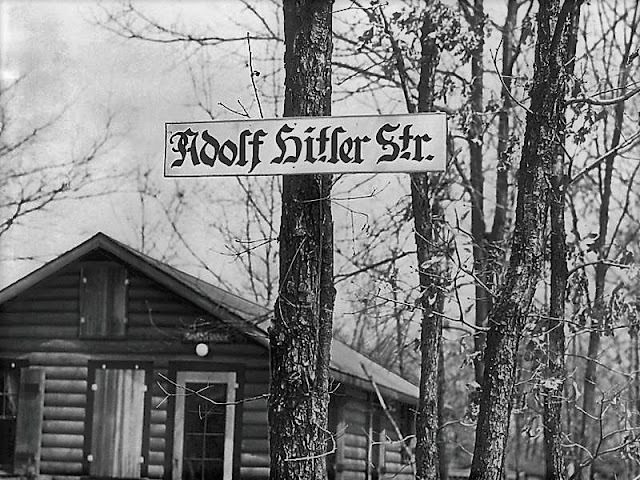 Across the country the Bund and its affiliates launched Nazi summer camps, like Camp Siegfried on Long Island, where streets audaciously were named after Hitler and Goebbels. 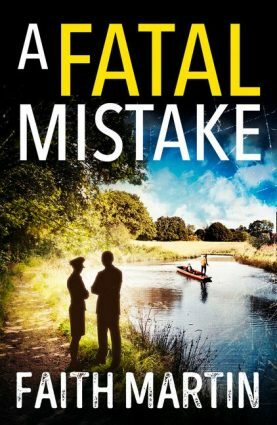 This might seem to take the book into thriller territory, but in fact it remains a full dress detective novel, with the focus on clues and investigation, although the narrative is fleet, the writing amusing and the characterization lively. Especially successful are two "viewpoint" characters, young St. John Lucas and winsome Sophonisba. Patrick manages a nice twist solution, in the manner of such virtuosi as Ellery Queen, John Dickson Carr and Anthony Berkeley. Some technical details are scamped, but overall this is an impressive example of a story that "conforms to the best tradition of the detective novel," as the book blurb on the American hardcover edition puts it. There's a little flutter of Hugh, I think, in the description of some of the boys' love of birding (Hugh and his brother were great birders as lads), but overall this book reads Rickie and as such it is a tribute to his own skill, when he chose to exercise it, as a mystery writer. See review at Pretty Sinister Books here. That DJ has poorly designed typography, but I can see the tail of the Q. It's barely noticeable, but it's there. The bottom portion seems to have been cut off at the edge, but the top is there as a very thin line. Look at the photo of the DJ I used on my blog post for this book. On that one it's more noticeable. I clipped off some of the scan, but I just can't see the "Q" on that jacket. I'll add a link to your review, though, sorry for the omission. Actually I should do a round-up, I know a number of people have done Q. Patrick reviews over the years. I can confirm what John said re the jacket of the book. My own copy has a fine jacket, entirely complete,and the thin line on the "Q." is visible. Well, that's one mystery solved! Might there be a reason for the choice of St. Paul, Minnesota as the site of the US pogroms? You'd expect an imaginary place. rather than risk enraging citizens of a real city. That's an interesting point. St. Paul had an infamously corrupt sheriff, Tom Brown, from 1930-32. Mabel Seeley in her book The Listening House alluded to the corruption, but she changed the name. Wisconsin had two Bund camps, don't know about Minnesota. Bund parents sent their children to the camps, which were compared to the Boy Scouts and Girl Guides of America, but in reality were more like the Hitler Youth camps of Nazi Germany. At the camps, children were taught how to speak German and sing German songs. 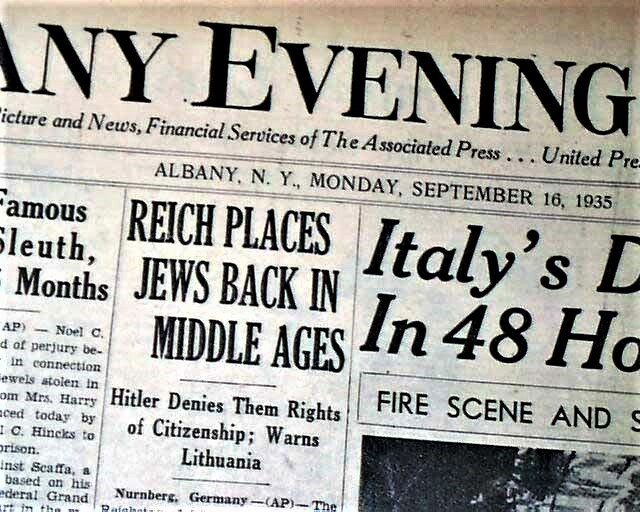 Phrases like “Ein Volk, Ein Reich, Ein Fuhehrer” (translated to “One People, One Empire, One Leader”) were heard alongside the refrains of “Deutschalnd, Deutschland Über Alles.” It was as much an effort to celebrate German heritage as it was an attempt to teach Nazi ideology. Fascinating insights on theme and attitudes toward children. Thanks for your continuing critical exploration of the Q. Patrick novels. Very excited to see your mention on the Stagge post that Mysterious Press plans to reprint the titles. Will you be providing introductions to the re-issues? As for the Bishop of Saltmarsh being a nod to Gladys Mitchell's 1932 The Saltmarsh Murders, it's an enjoyable speculation, as I feel the same playful challenge to push conventional genre plotting to its limits as a way to reflect an author's unconventional worldview in The Grindle Nightmare too. One would like to think Webb enjoyed GM's rebellious spirit, and vice versa. No intros from me! Do they ever have intros? Maybe some by Otto? But I hope to be introducing something else in the Hugh-Rickie line this year. Rickie definitely had his own muse, that's for sure. It all gets more interesting the more you find out about them, in my opinion!